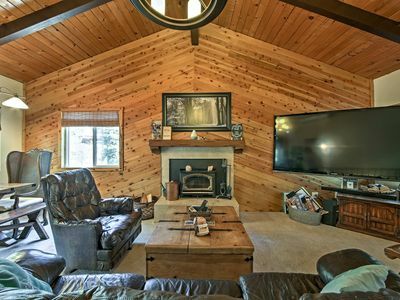 Small yet spacious remodeled cabin. 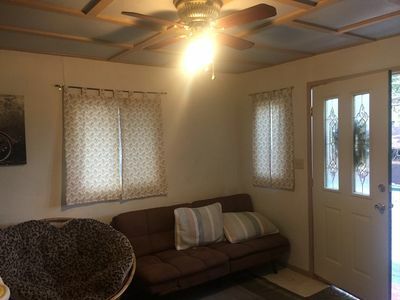 One bedroom, one full bathroom, living room, and kitchen with bar. 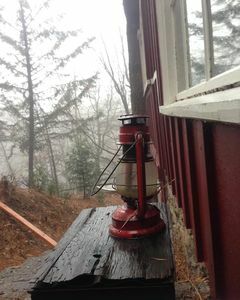 Cabin has an old-school floor heater that works great. 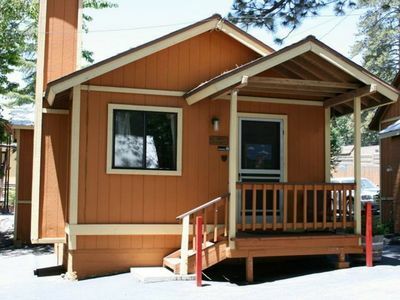 The cabin has internet, T.V., hot and cold water, big open parking lot in front of the house. 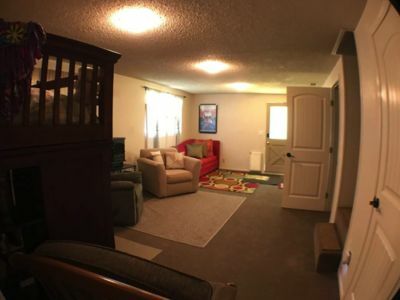 Big backyard with a outer fence "dog-run" for anyone with dogs. 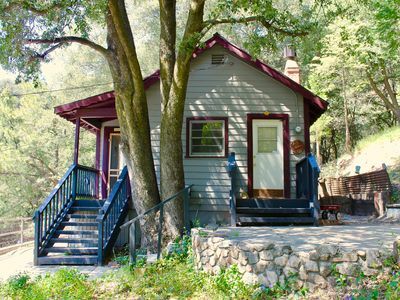 Cabin is on the main road and right off Highway 138 though you don't have to worry about traffic. 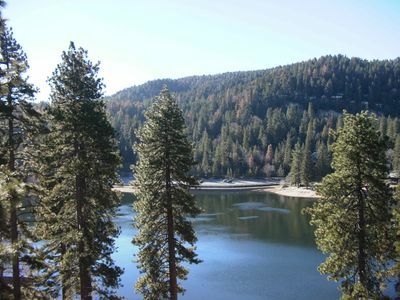 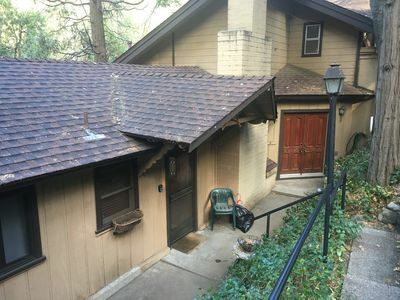 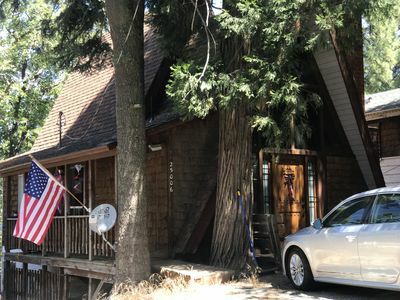 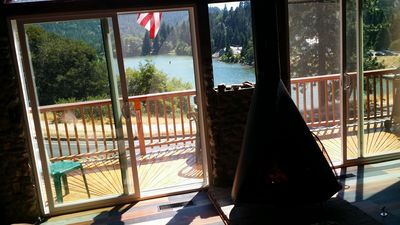 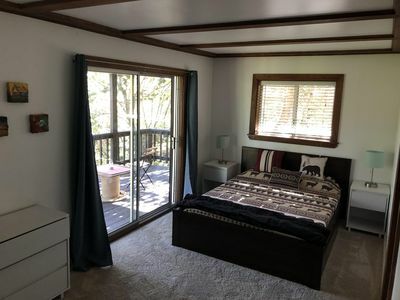 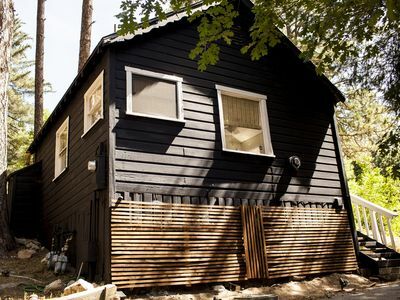 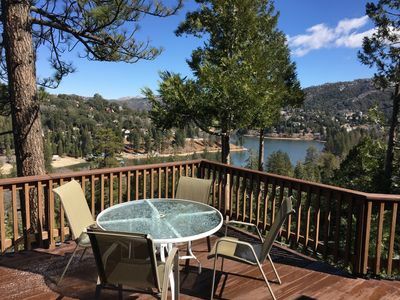 Cabin is a close drive to everything; about 2 miles from Lake Gregory, 2 miles from Lake Silverwood, 6 miles to Lake Arrowhead and 30 miles to Big Bear. 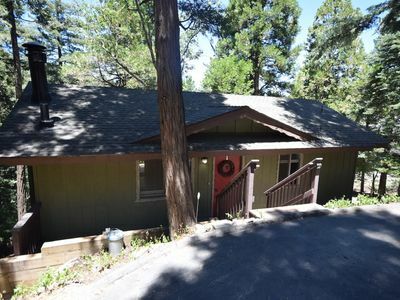 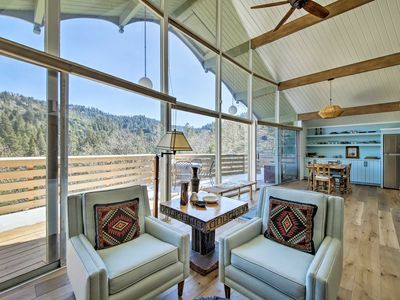 Two story lake view chalet with three bedrooms two baths and a recreation room. 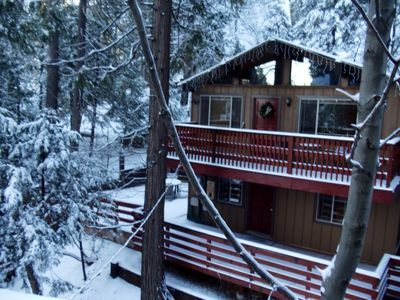 Peaceful Secluded Getaway In The Trees. 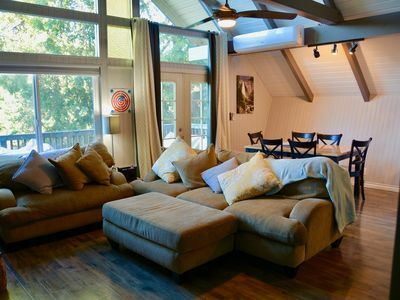 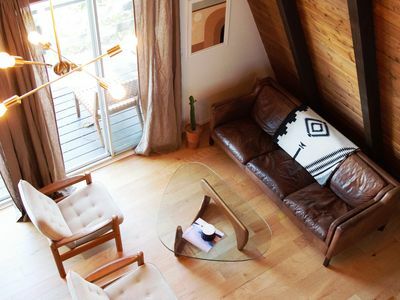 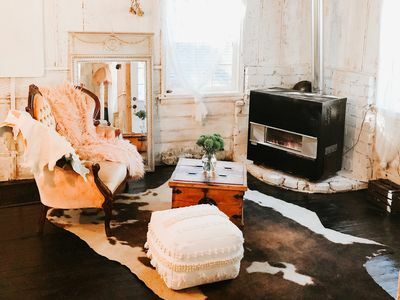 Cozy Mountain GETAWAY! 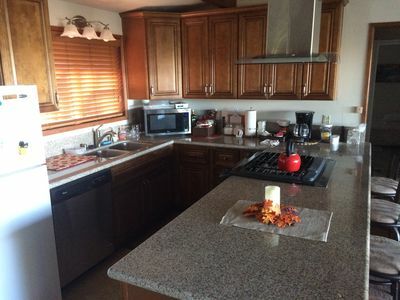 Pets OK! 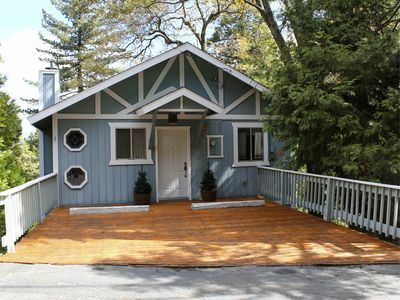 That Cute Cabin - Only 20 miles to Big Bear!